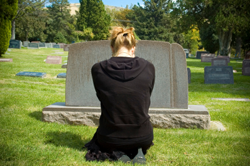 Why Do Therapists Warn the Bereaved that they Will Divorce? You got me. I have been a therapist for many years and have repeatedly been told that, parents who lose children divorce. Let’s see, Phil and I have been married for over forty years and it has been over twenty since our son was killed. Memories of our dear Scott seem to bring us closer rather than driving us apart. That is not to say we didn’t have our down times. I remember on Scott’s eighteenth birthday, I had a pizza party for all of his friends.? I had about twenty kids in the house and we laughed and shared memories of Scott. Phil and Heather, age fourteen, stayed in the kitchen and chatted together. They didn’t mind that I had the party; it just was not their thing. We lost our daughter to Cystic Fibrosis and was married for 47 years when my husband passed away. When my daughter was diagnosed at age 2 1/2 it brought us closer together. When you have a child with a disease you either get closer or grow apart. We chose to stick together and live our life as normal as possible. There was never a time we were going to give up on each other!